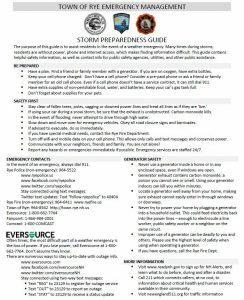 MANCHESTER, N.H. (August 8, 2017) – Eversource customers can now report a power outage and get updates on that outage through text messages, thanks to the energy company’s latest two-way text option. “It was fast and easy,” said Eversource customer Frank Summa. “Texting is usually how I connect with people, so for me this was great. It's much easier than getting on the phone or logging onto the computer to report my outage." Customers who want to take advantage of this convenient two-way texting option must first register their mobile device online at Eversource.com, or directly from their mobile phone by texting “REG” to 23129. Once registered, Eversource recommends customers add the outage text number to their contacts for quick access. Then, it’s easy – text “OUT” to that number when the power goes out and “STAT” to that number for updates. Customers who already receive outage alerts from Eversource via text will automatically be enrolled in the new two-way texting feature. As always, customers can also report outages online or by calling 1-800-662-7764. To learn more about outage alerts and text reporting, visit Eversource.com.